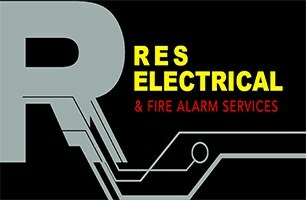 RES Electrical Fire & Security - Alarms/Security, Electrician based in London, Greater London. RES ELECTRICAL & FIRE ALARM SERVICES WILL BE TEMPORARILY CLOSED FROM 8th APRIL UNTIL 23rd APRIL. PLEASE EMAIL US FOR ALL ENQUIRIES AND WE'LL GET BACK TO YOU AS SOON AS POSSIBLE. At RES Electrical we pride ourselves on meeting customer expectations no matter how big or small the job. Our electricians carry out a safe, reliable service with certified expert knowledge on all domestic and commercial installations. We specialize in a wide range of electrical services from domestic re-wiring to commercial fire alarm installation & maintenance. Contact us today for a free of charge quote or for more information. Fire alarms are an essential for domestic and commercial buildings. They save thousands of lives a year so it’s absolutely crucial that they are installed and repaired properly. With extensive industry experience, our team will advise you on the most suitable solution whether you’re upgrading an existing system or installing a brand new one. Our service also extends to the regular servicing and testing of your new alarms as well as any existing alarm systems; a legal requirement every six months in line with BS5839. Such regular maintenance ensure your alarms are in full working order at all times and are ready for use day or night should a fire occur.